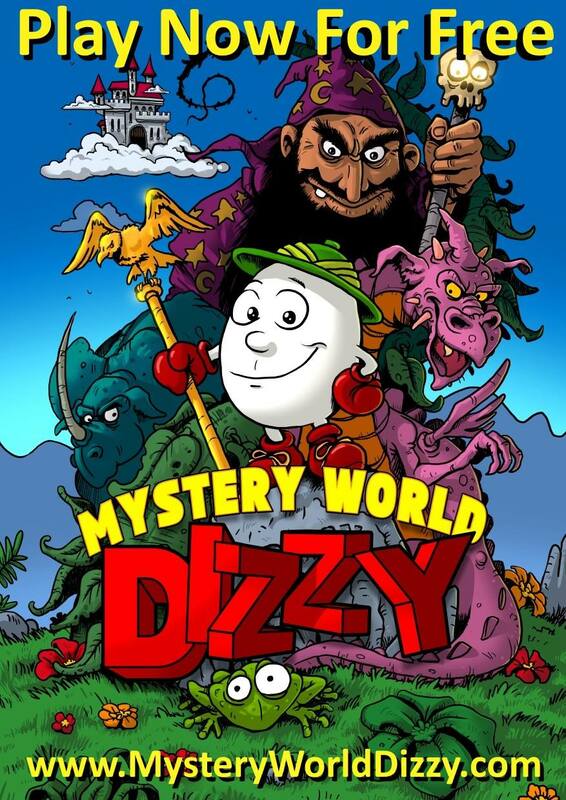 Mystery World Dizzy - Play now! 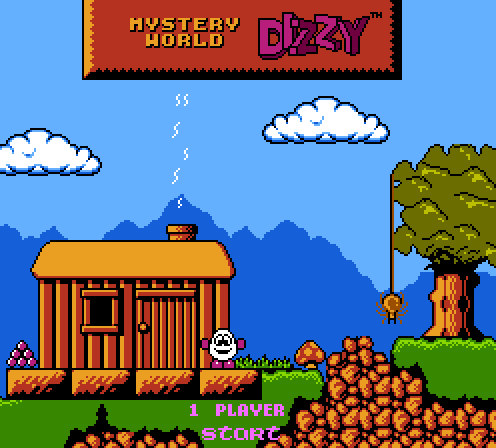 To those of you who have read the "Let's Go Dizzy" book, you may have come across a few mentions of an unseen official game called "Mystery World Dizzy". Well to celebrate International Dizzy Day, The Oliver Twins (with the special help from Team Yolkfolk) have unveiled the new 'old' NES game that nobody in the Dizzy Community ever knew about before! Yup! - Mystery World now has It's very own website where you can play the game online or download the ROM (requires an NES Emulator). Also, there is the #IBEATDIZZY3 competition - further details on the Mystery World site. We hope you guys enjoy playing this new 'old' adventure. It's fantastic to see more unreleased Dizzy games coming to life!